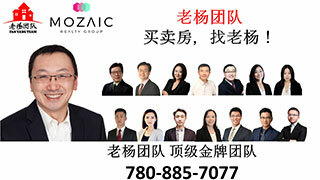 If property owners don't agree,the city has the power to expropriate their land,English,埃德蒙顿华人社区-Edmonton China,加拿大,埃德蒙顿,爱德蒙顿,爱民顿,艾德蒙顿,爱城华人,爱民屯,爱明顿,Edmonton,Chinese,Edmonton Chinese - Powered by Discuz! Hundreds of properties in west Edmonton have been marked as future build sites for the Valley Line West LRT, including homes that would be demolished. [. x. v6 m/ @7 a) Z& U$ w% ^; U" hAs of Thursday, the city had identified 200 properties needed for the proposed route, which cuts through neighbourhoods including Oliver, Glenora and Jasper Place. 5 W3 R5 F# b/ |9 OIf property owners don't agree to a fair sale, the city has the power to expropriate their land.
" Q1 H( t9 N# T8 z+ i, RThe mix of residential and business properties would be affected to varying degrees, said Eva Cheung, Valley Line West LRT project manager. $ M2 }4 |9 V% E% G* r' jIn some cases, the city needs a sliver of land for a new sidewalk. In others, the city wants entire properties and plans to tear down any structures built on the land. : X, o2 L8 A/ c% s6 s# A5 T- JThe city is in negotiations to acquire the remaining land needed for the project, which is still in its design phase.
! M/ Q; L; c# n8 K$ |( H; VValley Line West will be an urban-style LRT line between 102nd Street downtown and Lewis Farms in the west end. Construction is scheduled to begin by late 2019 or early 2020, Cheung said, by which time the city will need to secure all land required for the expansion. "It really is a last resort in order to protect our ability to deliver the project as per council directions and timelines," Cheung said. The city acquired land from 140 properties for the southeast leg of the Valley Line LRT, which is currently under construction. It will link 102nd Street downtown to Mill Woods Town Centre. "Our team is still working with the individual property owners to hopefully come to an agreement." "It's a good market to be in because there's a lot of choice out there," Torhjelm said. 1 y; g2 K1 _. W. G0 EAs such, expropriation may be a blessing in disguise for property owners who had planned to sell anyway, he said.
) q# [2 W1 M9 V: q5 G* B"If you had a property that you were being forced to sell and had to buy another one and you got fair market value [for your property], you've got cash in a marketplace where you can buy something where you've got a lot of choice." GMT-8, 2019-4-20 18:40 , Processed in 0.129410 second(s), 12 queries , Gzip On, Memcache On.